Synergy Golf have been sponsoring the Eastern region golf league for a number of years now and we love working with them. They really got to know us as a charity, taking the time to understand our athlete’s needs and going that extra mile in accommodating and supporting us. Our athletes love playing at their facilities at Grange Castle Golf Club, which enables us to run a year-round golf league, and St Margaret’s Golf Club which hosted the 2017 Advancement events for the region. 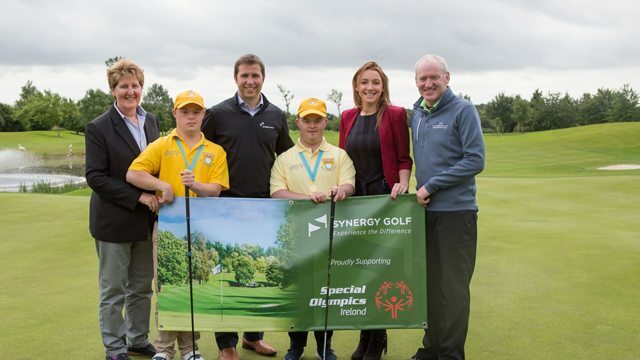 We are also delighted that St Margaret’s will host our golf competition events for the 2018 Special Olympics Ireland Games this June which will see athletes from all over Ireland compete and represent their region on this national stage. A: Synergy Golf, Unit K3, Maynooth Business Campus, Maynooth, Co. Kildare, Ireland. Eircode: W23 XN75.